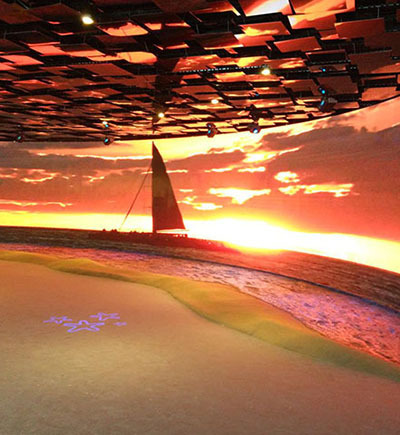 How to enhance the display effect of SMD black light in outdoor rental market? 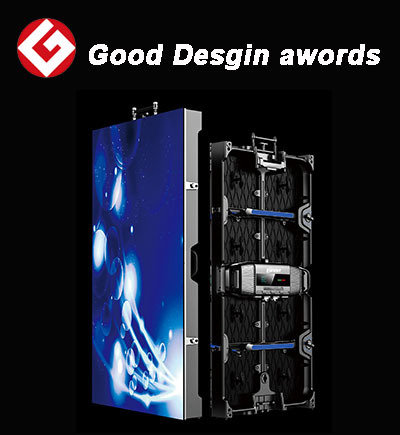 Since the born of LED display, outdoor LED display mostly use white LED encapsulation (SMD white light). However, in recent years, in addition to white lights, black LED encapsulation (SMD black light) has been widely used in the market. 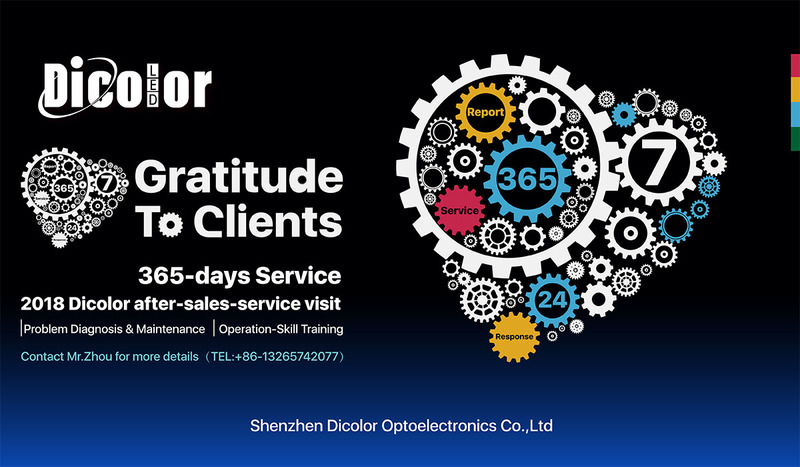 On May 29, 2018, Shenzhen Dicolor Optoelectronics launched a two-month follow-up after-sales service of “Gratitude to Clients, 365-day Service” to transform the previous after-sales service operations. From passivity to initiative, responds quickly, and takes the initiative to come. Customers provide free after-sales service and customer care. With the pursuit of artistic beauty and advanced functions of the products, Dicolor has launched M-Pro LED display which is highly satisfied with the market demand with its artistic beauty and utility. 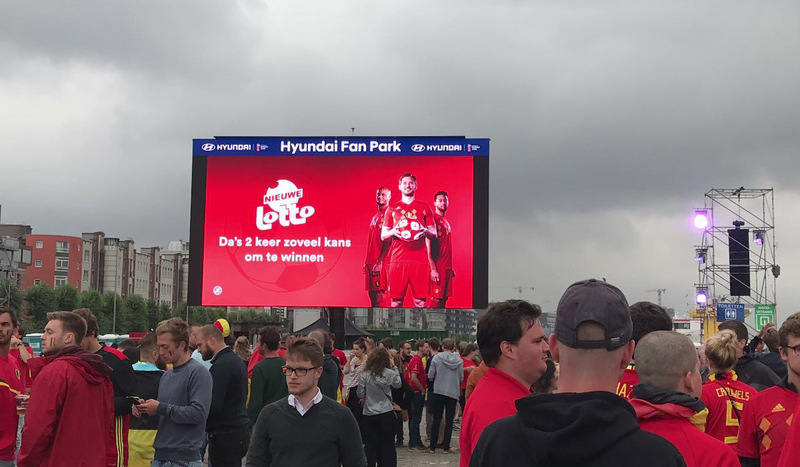 LED screen or more can associate with the other ways to fully deliver the creative ideas and humanistic culture for the theme park. 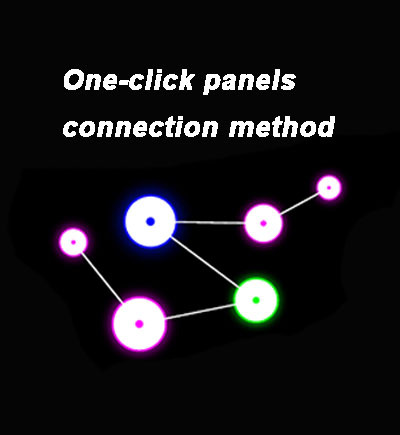 Dicolor X-Plus series "One-click panels connection method"
The advantages of " One-click panels connection " from Dicolor,Don't need your step-by-step sequence of signal wiring;You don't need to check the actual alignment behind the screen first when debugging;Do not need you to clear the screen lines by a few calls when proceeding remote debugging;Do not need checking every line in topography diagram during the software configuration with the screen. Dicolor's M-pro Series has been granted Good Design Award a couple of days ago. 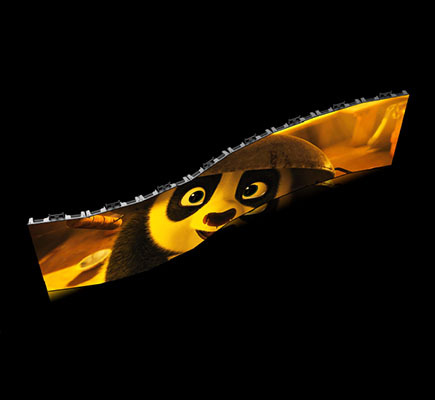 Let me show you M-Pro Series LED display , a perfect product. 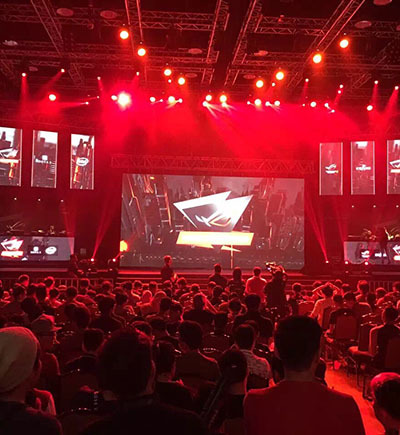 In recent years, with the rapid development of LED display technology, the technologies in color, high-definition and stitching technology of large scale are becoming more and more mature. Because of the traditional massive sets and monotonous tableaux, the performing art venues including stage, theater are mostly designed for one-time use. 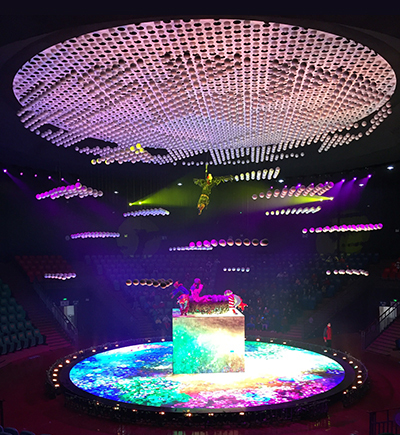 However, due to the dazzling video scenes, flexible tableaux, changeable scene style, LED display becomes one of the essential products in arena show. What is the vision of a city, how the vision will be presented? Here is our main topic about LED screen application in city planning exhibition hall and showing you how it displays the vision of a city. 2017 Dicolor whole industry chain promotion model, the first battle victory with international market. 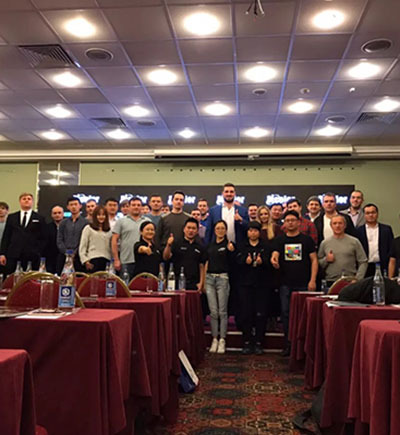 In 2017, Dicolor New products Release Conference of Russia was held in Moscow in May 17th. After a year, then the Russian capital, Mural, X-Plus and M-Pro product release for open field, stunning four!